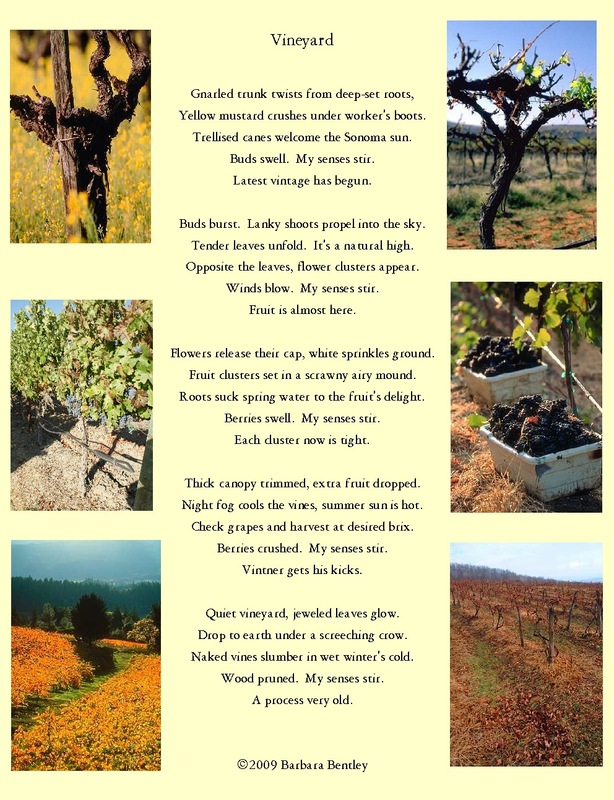 Gundlach-Bundschu Winery started a poetry contest in 2009 to celebrate their 151-year anniversay. On March 12, 1858, Jacob Gundlach signed the deed for the property in Sonoma. 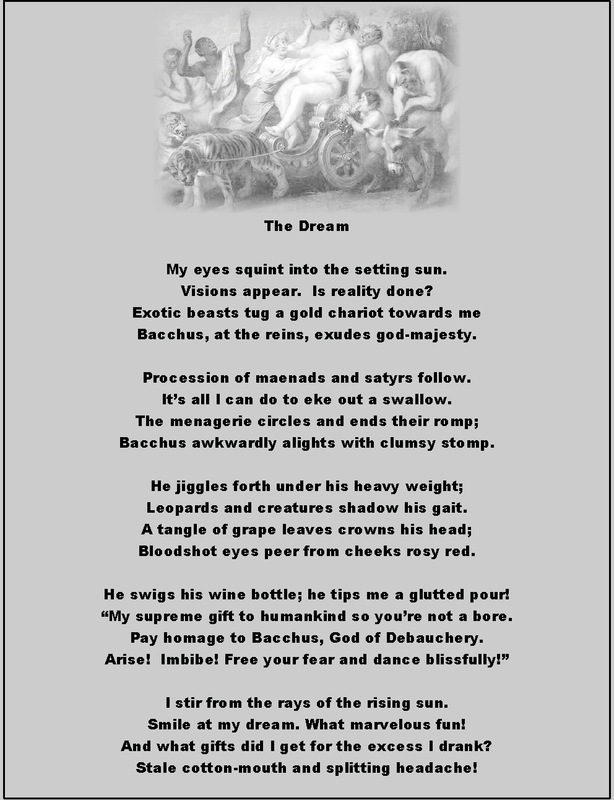 His son-in-law, Charles Bundschu, was a poet and wine fanatic who encouraged creative writing. The family established a poetry contest as part of the 151-year celebration. The contest can only be entered from their website only on March 12 (24 hour window). In 2009, the limit was 151 words and the theme was "how wine stirs your senses." 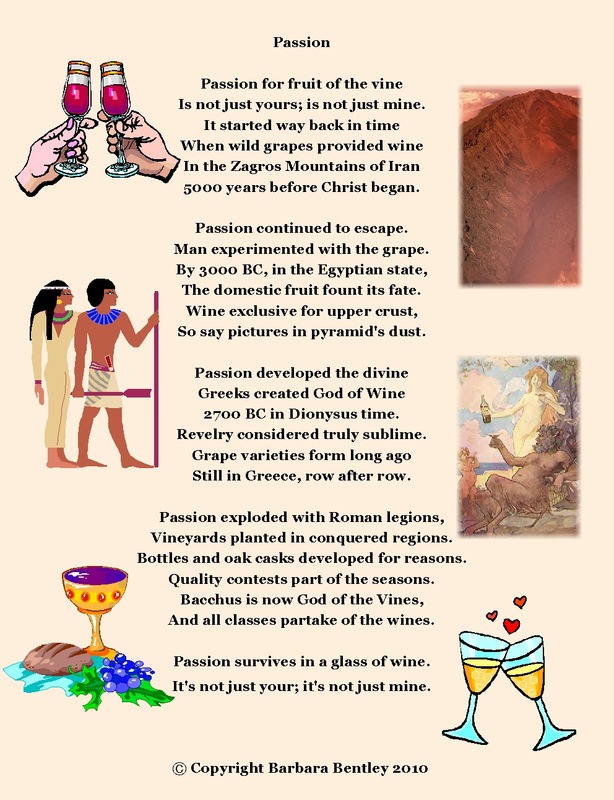 In 2010, the limit was 152 words and the theme was "passion. Barbara entered on a lark, having never entered a poetry contest. The prizes include delicious Gundlach-Bundschu wine.